There are two faces of work-culture in India – one at government offices, and the other at private enterprises across the country. Employees at most private businesses are known for putting in long hours and slogging it out. They will often work beyond the official closing hours at five or six in the evening. Many even work during the weekend. It’s tougher in the information technology and communication industries. Sometimes, they even have to provide support from home. And of course there is almost a mad scramble to reach the workplace on time, because if you are late thrice a month, then you lose one of your stipulated days leave for the year. But the picture is almost the complete opposite at government offices, at all levels – whether it’s the union government, state government offices, or local municipalities. And it’s virtually the same story throughout the country too. There’s hardly anybody at the stipulated time of arrival, which is 10 in the morning. Some of them go missing after the lunch break as well. In fact, it has even been said that there are some employees who don’t visit the office for days at a stretch. Naturally, there’s a huge pile-up. It’s been a common complaint for decades. Efforts have been made now and then to fix the issue, but there hasn’t been a noticeable difference. However things might finally be moving in the right direction. The new Indian government of Narendra Modi has developed a Biometric Attendance System (BAS) for government employees. Authorities are hopeful that it’s going to fix the problem once and for all, and provide relief to the huge number of citizens who have been suffering for decades. A new website, attendance.gov.in, has been set up to monitor the attendance of government employees. Details of close to 60,000 individuals have been entered already into the system. These particulars - including fingerprints - were collected when the government ran its Unique Identity Number or Aadhaar program. Officials were asked to register employees who have already received their Aadhaar numbers. Close to 3,000 biometric devices have been installed at 148 central government organizations to run this program. Employees have been asked to login and logout daily to register their attendance. 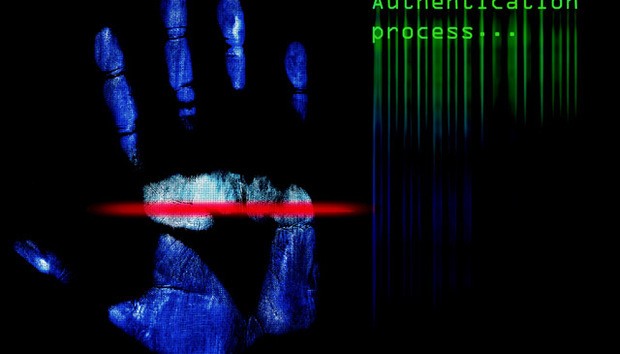 Inexpensive biometric scanners will read the fingerprints, and then send data to the UIDAI servers for authentication, confirming the match to an employee. The attendance would then be displayed on the website. This would be a centralized management information system (MIS) for monitoring employee attendance. Employees in these 148 organizations are currently being trained. It’s the first time most of them are going to use something like this. And fingerprints were included to make sure that individuals turn up physically. There is no way to use proxies - a common practice is some organizations. Attendance of government employees can be tracked easily from the website’s dashboard across organizations. Absolutely anybody can access the information and download the entire dataset. The system is completely searchable, down to the name of each individual. By making it completely accessible, the government has improved transparency and accountancy in India’s notorious bureaucracy. Employees can easily be identified through their Unique Identity Number (Aadhaar), and fingerprints. People responsible for monitoring attendance and performance can easily find out how many people are at work. They can check when a person is coming in and logging out. Chronic late comers can be identified easily. However for now, this BAS project is just for the National Capital Region of New Delhi. It’s still in test mode. Authorities have plans to roll it out across the country once they are sure that it’s working. Source code of the platform will be shared with individual state governments. They can then implement the program at various levels. Eventually, once it is place across the country, this is going to be the biggest Biometric Attendance System in the world. Interestingly, it’s not the first time such a Biometric Attendance System (BAS) has been tried, in fact the inspiration comes from the Indian state of Jharkhand. The BAS attendance system is the brainchild of Ram Sewak Sharma, who was Jharkhand’s Chief Secretary, the top civil servant of the state. He decided to fix a problem that nearly all government offices face in the state and country. Ram Sewak believed that the solution was a fool-proof Aadhaar-based biometric attendance system that would be fast, reliable and publicly available. “There were people spending huge amounts of time in office. But there were some jokers who would barely come to work at the secretariat in Jharkhand’s capital, Ranchi. This creates a huge disincentive for people to remain in office,” he said later speaking to the media. The result of this was attendance.jharkhand.gov.in. The system is tracking at this time 34,000 employees across 69 departments in 24 districts. It has been a game changer in the state. Prime Minister Modi, who was earlier the Chief Minister of the Indian state of Gujarat, is well aware of the challenges many Indian states are facing. So, when the PMO (Prime Minister’s Office) informed him about the Jharkhand experiment he was interested to find out more and asked Ram Sewak Sharma to give him a presentation. This resulted in the decision to bring Sharma to Delhi to replicate the Jharkhand story in the NCR, and eventually across the country if it works well. There is one critical area where the BAS is lacking, however. It’s not able to track employees leaving between check in and check out. This means theoretically people can go out for long hours after reaching office. The other concern is connectivity. However the team has a solution for this. They are using a combination of mobile phone and wireless internet networks to make sure that the online authentication process can be completed smoothly and quickly even in offices with connectivity challenges. Only time will tell how this will all pan out in reality. But it should at least curb some of the excesses government officials have been known to indulge in… and in the long run help bring about a fairer India. Niladri Bose is a Post Graduate in Mass Communication and former journalist. Niladri writes on economic issues, and also on social, political and internet trends. « Uruguay: Plan Ceibal & Improved Education?